Kahale is of the same species as Another Mo’o forced into servitude. 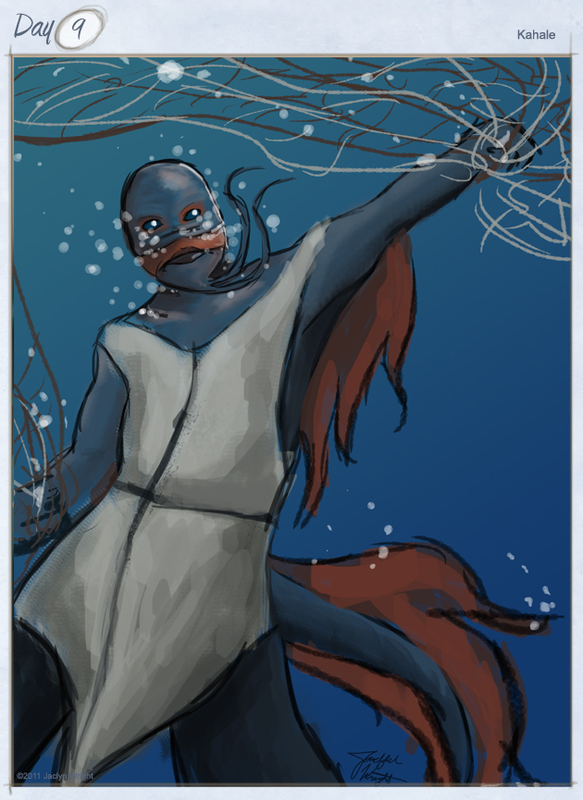 Though right now I can’t tell if he’s removing nets or fishing for his master’s supper. Kahale, isn’t overly distraught with his lot in life, he enjoys the physical work, and keeping busy. Yeah his situation isn’t ideal but it could be worse.